James Newell, PhD, PE, SE, has over eight years of structural engineering and earthquake engineering consulting experience. He has worked on numerous new design, seismic evaluation/upgrade, and peer review projects in the healthcare, higher education, high-tech, water/wastewater, and private market sectors focusing on the use of advanced analysis techniques and application of emerging technologies. Dr. Newell has extensive experience in large-scale structural testing and finite element analysis, along with incorporating these results into design and evaluation. Through his experiences in the laboratory, Jim has seen how structures fail. He has developed an understanding of probable mechanisms for structural failure and he leverages this knowledge in his design and evaluation work. This hands-on laboratory experience has also provided Jim with a unique perspective and insight into constructability challenges faced in the field. Having tied rebar cages and erected structural steel himself provides Jim a unique perspective when developing construction details in the office. Jim is also an Adjunct Faculty member at the University of Portland where he has taught course in structural steel design and earthquake engineering as well as served as an industry mentor for seniors completing their capstone design projects. 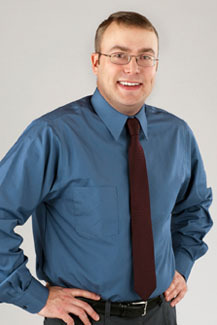 Prior to joining SEFT Consulting Group, Jim was a Project Engineer with Degenkolb Engineers in Portland, Oregon.